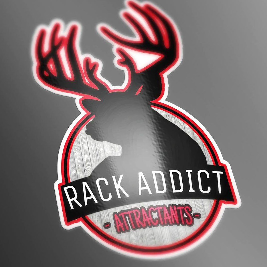 Rack Addict Attractants ACORN ADDICTION is highly palatable long range attractant, that comes in a 5lb bag, that is packed with REAL CRUSHED WHITE OAK ACORNS, minerals, vitamins and mold inhibitor's. Whitetails have an overwhelming desire and crave acorns. Everyone knows as soon as acorns start dropping, white tails will abandon all other food sources and head deep into the hardwoods to feed their addiction for acorns!